I like to see cheddar taking its rightful place in the English lexicon as a verb. 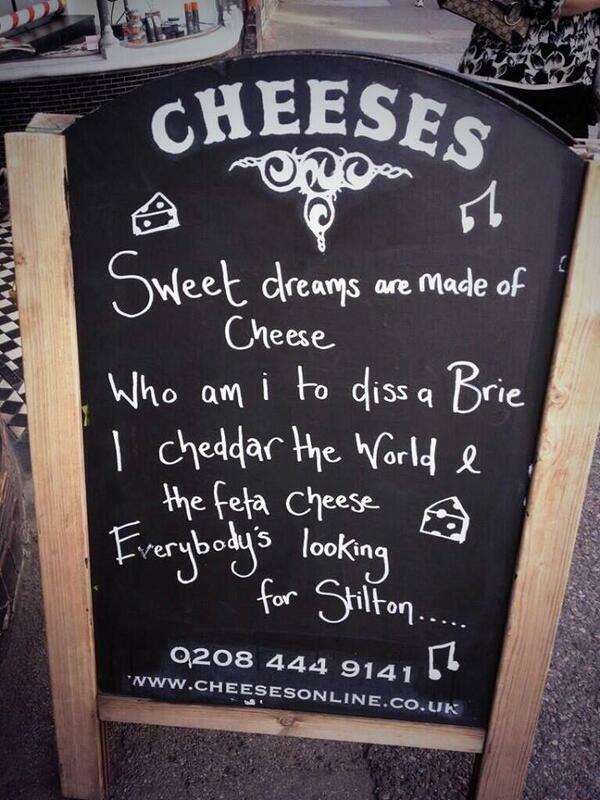 Dare you not to sing it. I know, right?! Also, is there a point at which – as a writer – I can stop feeling bad about myself because BuzzFeed outdoes me every time? I die of Buzzfeed envy at least once a day. I try to find comfort in telling myself that those listicles are the product of 10 people working 40+ hours a week. If I had all of that time on my hands I could totally come up with something that witty. Right? RIGHT? !